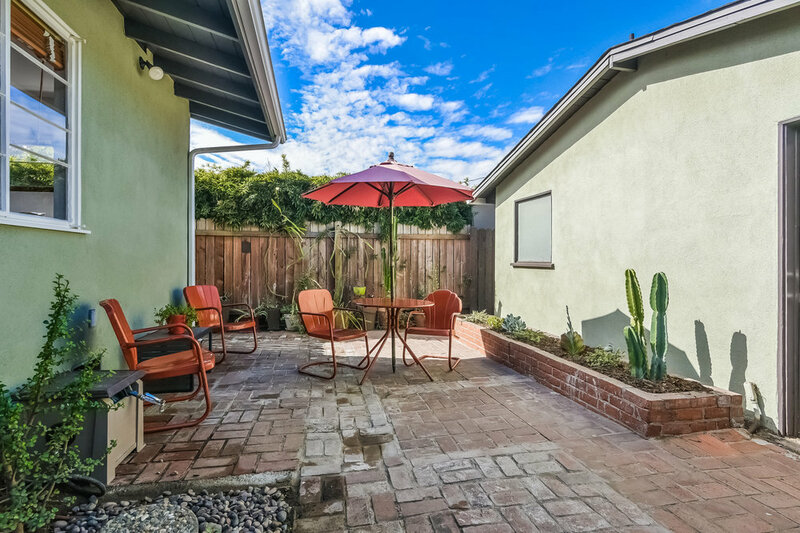 Beautiful Spanish two bedroom, two-bath home with detached studio and large lush tropical yard in the ecclectic Atwater Village. 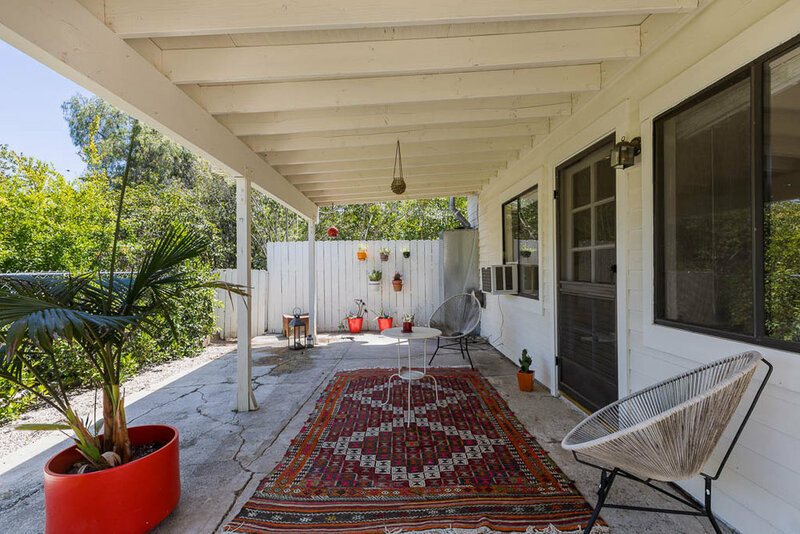 This home combines its 1920s historic charm with modern updates; delightfully remodeled kitchen with Moroccan concrete tiles, quartz countertops, custom cabinetry, recessed lighting and vintage stove. A gorgeous remodeled tandem bathroom with Carrera marble and floating shower door. Wonderful living room has arched wood doors and windows, barrel ceiling, wood floors, dining area and step-down area with Saltillo-style tile floor, fireplace, and doors that lead out to a huge covered patio with night blooming jasmine; perfect for entertaining or just as an extension of home. 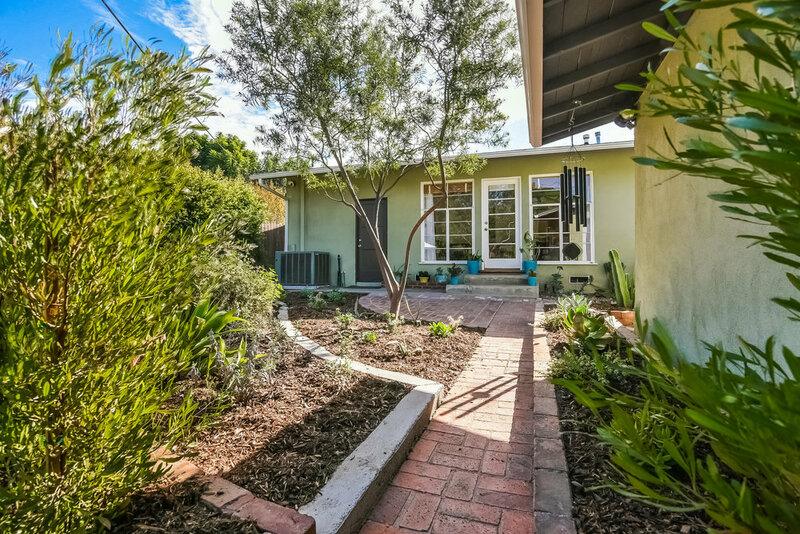 The remodeled studio has 3/4 bath, laundry room and French doors leading out to alluring yard with giant birds of paradise that surround the private yard. 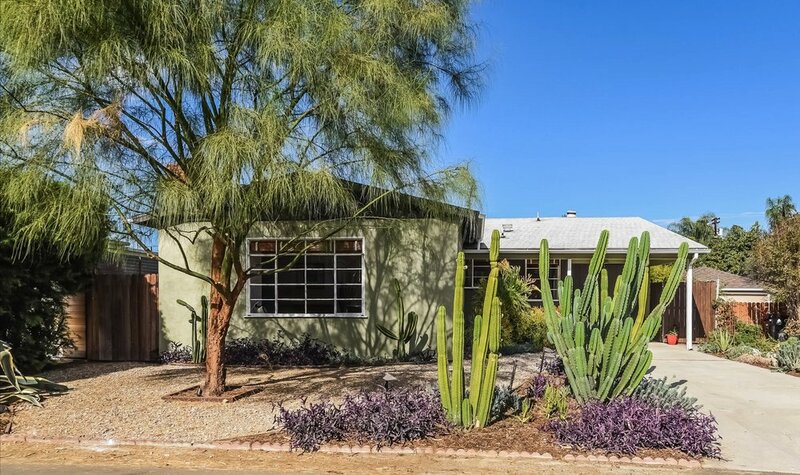 There is copper pluming; HVAC, garage and amazing landscaping with giant cactus. 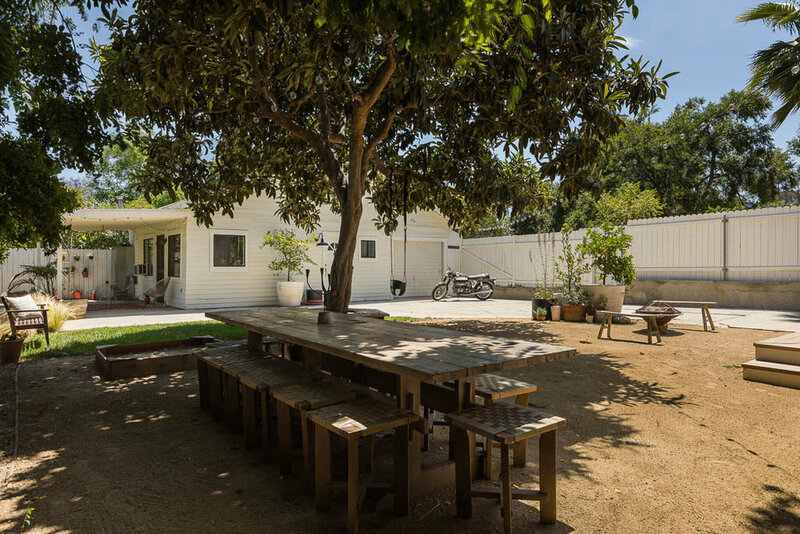 This perfect location has access to it all; restaurants, shops, library, and L.A River bike paths. Stylish Contemporary home in Mount Washington with amazing views! This charming four level home lends itself to entertaining w/open living & dining rm that leads outside through sliding glass door to a newer balcony/deck w/cable railing & spectacular views; great space for entertaining or meditating after a long day. The kitchen has custom cabinets, Marmoleum floor, granite countertops, plus updated appliances. Two large bedrooms & two bathrooms on the 2nd level w/an additional bedroom and office on the 3rd level w/ skylight over landing/sitting area; great as reading nook or yoga space. The lower level has an additional bathroom & bedroom w/glass door out to the lower balcony with picturesque view of sunsets. The house has newer windows, copper plumbing, updated electrical, central HVAC, tons of closet space, 2-car garage, & the exterior recently painted. The huge yard has potential for an orchard! 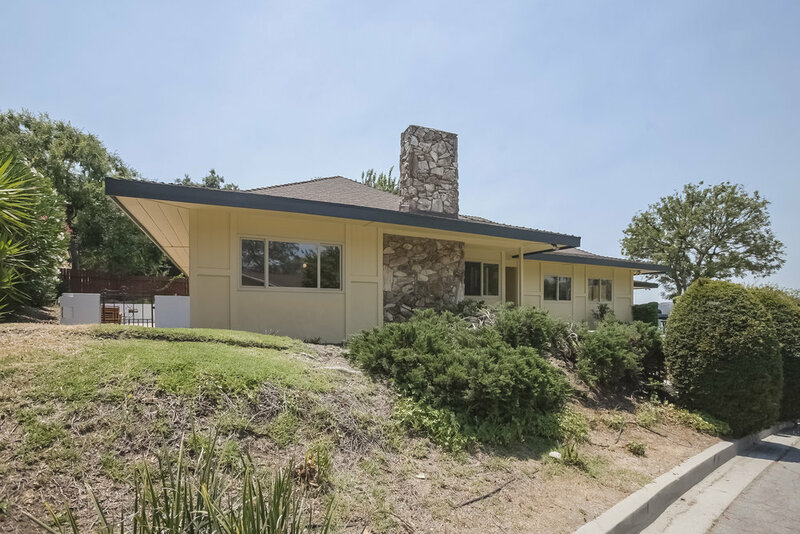 Great location near hiking trails in Elyria Canyon Park and close to downtown! 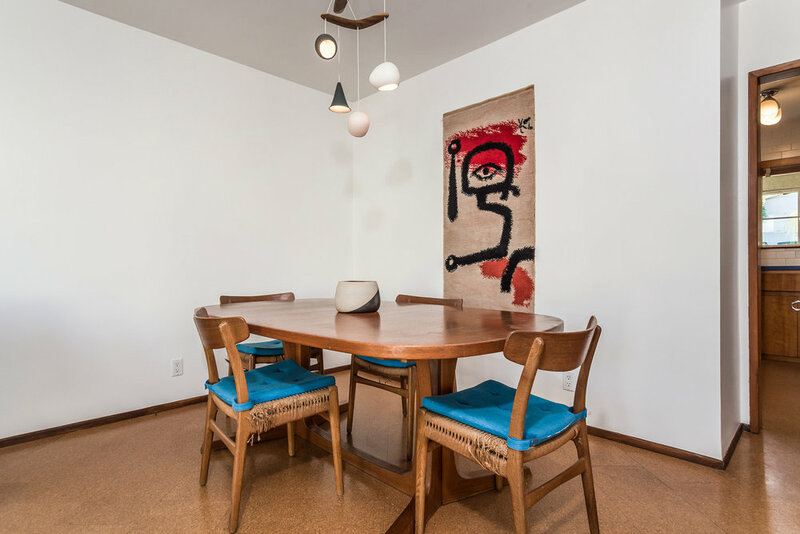 Wonderful Mid-Century modern home renovated by architect Catherine Garrison! This amazing space lends itself to entertaining with gorgeous kitchen that opens to dining room, wood deck, and features lacquered cabinets, Quartz counter-tops. The living room has dramatic high wood ceilings, designer light fixtures throughout the house and a wall of glass and a clerestory architectural bottle glass window. This two level house has a master bedroom with en suite bath with custom cabinets, amazing tile and floating glass shower doors. There are two additional bedrooms upstairs that are filled with light and views, a full bath and a guest half bath downstairs; both professionally remodeled. 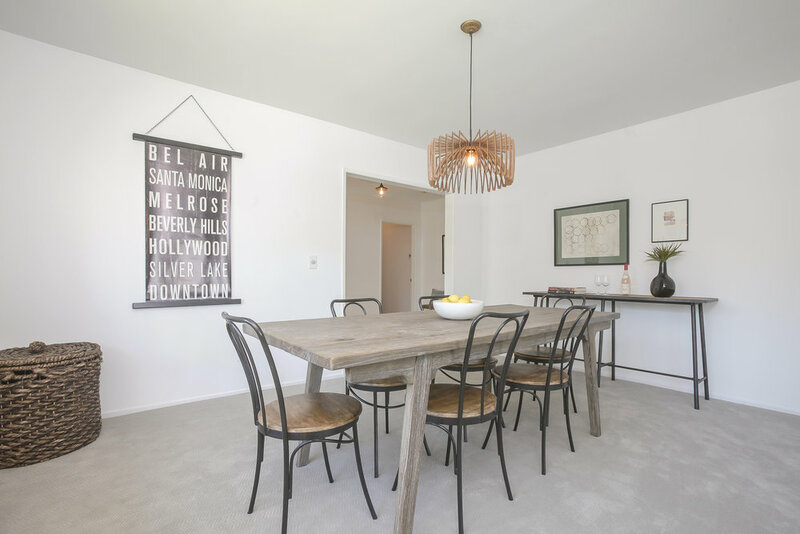 There are beautiful Amendoim wood floors throughout, copper plumbing, newer electrical panel, central heat & air, attached two-car garage and a beautifully landscaped drought tolerant yard that features smart grass (artificial) and succulents. 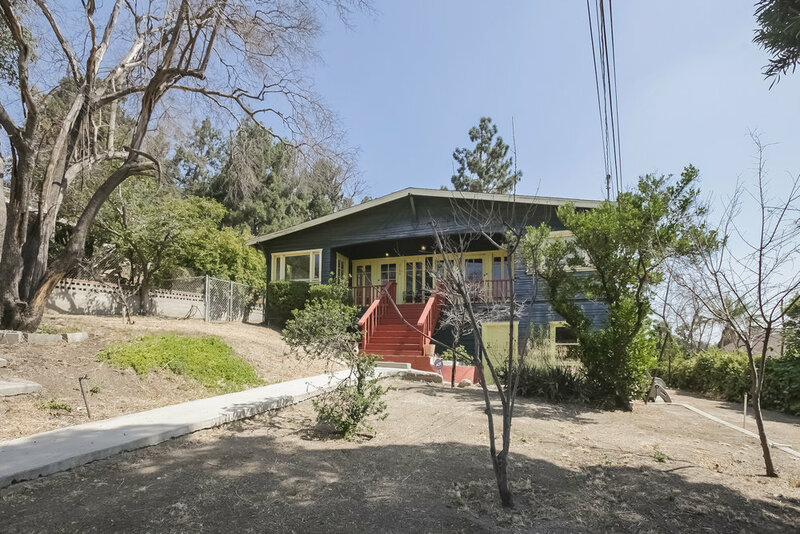 This is a wonderful home is in the hills of Glassell Park's best neighborhood! 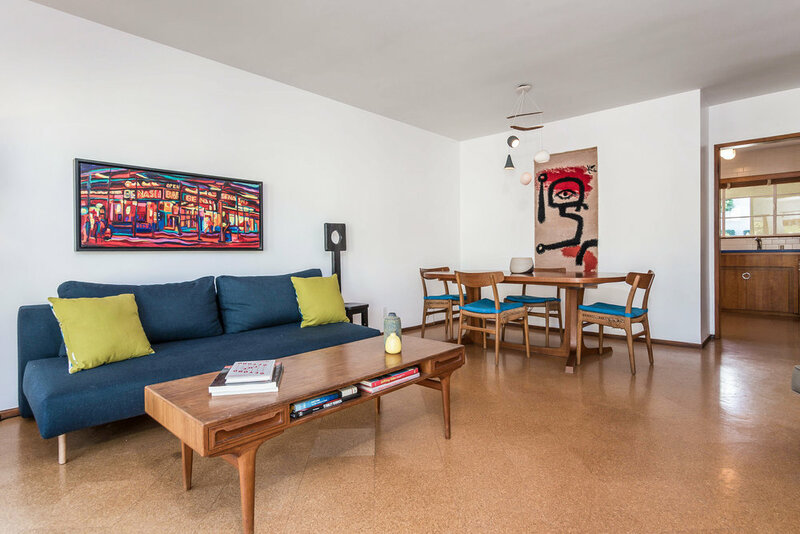 Mid-century style renovated duplex w/beautiful views! Each light filled unit sits up off the street & features 2 bedrooms, remodeled bathrooms, newer double pane windows, laundry room, central HVAC, living room & dining areas that open to updated Cook’s kitchens w/Quartz countertops, custom cabinetry, recessed lighting & designer selected finishes. The back unit is 2-stories & has 2 large elegant bathrooms (one on each floor), a huge kitchen island & direct access to the lovely professionally landscaped yard w/drought tolerant plants. The electrical has been updated, newer roof, updated copper plumbing and tank-less water heaters. The duplex is bolted. Great location, short distance to Café de Leche, The York, Hermosillo, Town Pizza, Scoops, Donut Friend, and everything else York Blvd. has to offer. 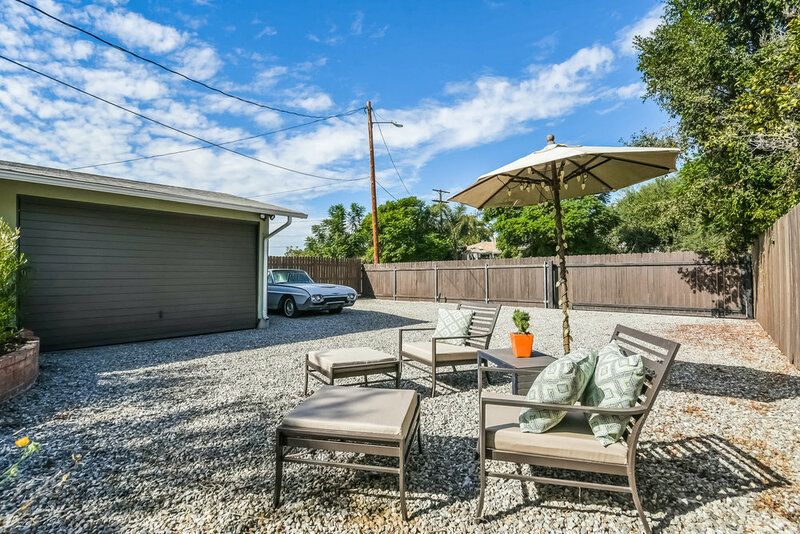 Easy access to freeways & downtown, large shared yard, great for BBQs or peaceful sunsets. There is a 2-car garage & a storage room. Front unit will be delivered vacant. Perfect owner/user. Charming 1924 French Normandy home w/lots of character! 3 bedrooms + 3.5 baths; tastefully remodeled. Living room has vaulted ceilings, with period details including Batchelder tile fireplace, hardwood & Magnesite floors, & your own turret! French doors lead onto a large deck perfect for entertaining, dining al fresco, and gazing out over the enormous yard (room for a pool!). Cook's kitchen/dining area with built-in window seat, desk, & handcrafted light fixture by "The California Workshop." Views & light fill the rooms; the master bedroom has a balcony & en suite bathroom w/ beautiful Carrera marble & quartz counter top. A roof top deck overlooks the skyline. The home has updated electrical panel & sewer line, HVAC (with dual zones), & copper plumbing. 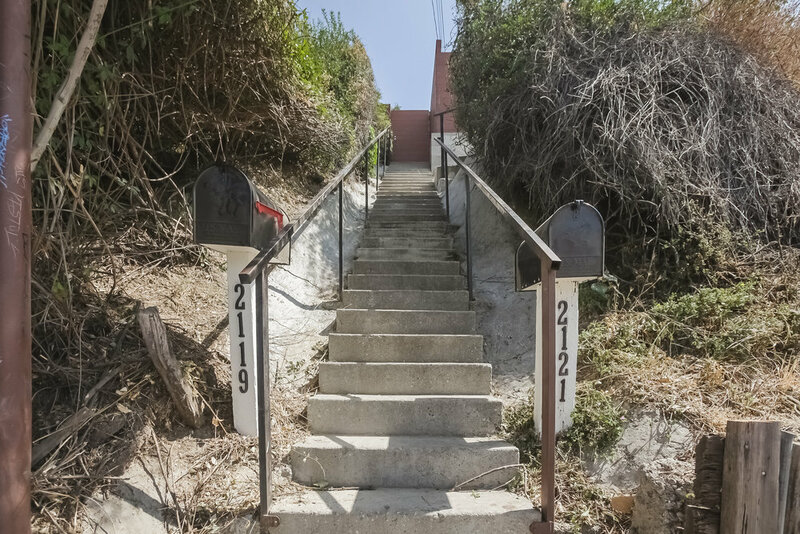 On one of the best streets in Los Feliz, this very private home is just a few blocks to hiking trails and Hillhurst Ave. This distinctive 3-unit building tucked away in a small alley is the "Frolich House" or also named the London House; it has an unusual story to tell. Rumor has it that celebrated author, Jack London, once resided here. The Frolich House is located across from Raleigh Studios, just off Van Ness. This 3-story building consists of 3 lofts with high ceilings and a studio. The building has many nautical and Mediterranean influences. Large arched windows let in light and add to the overall good energy of the building. An exterior pulley system was used by Frolich to lift his sculptures into the upper loft. There is an original bas-relief of London on the exterior. In 2017, the building was declared a historic-cultural monument. Finn Frolich was a Norwegian artist who was involved with numerous sculptural works nationally and internationally. The Frolich House has been the site of vital exchanges between popular "Hollywood" culture & alternative "Bohemian" culture since the 1920s. Buyer to renovate and restore. This peaceful Traditional Home has 3 bedrooms, 2 baths & sits privately behind a wood fence in the hills of Mt. Washington. The living room is surrounded by windows & has beautiful wood floors & recessed lighting. The retro kitchen has an attached breakfast area that looks out onto a mini courtyard. The dining room is a magical space w/wood floors, recessed lighting & a wall of glass that looks out onto the beautiful garden & the amazing sunset. The space is perfect for unwinding after a long day. The dining & back bedroom are attached to a wonderful floating steel grate balcony w/stairs that draws you out to the vast yard & enormous concrete patio; perfect for entertaining. The interior spiral staircase leads you down to a den/office & the master bedroom that opens to the private patio. The home features: a garage w/laundry area, updated electrical panel, HVAC, copper plumbing, newer roof & retrofitting. This magical space welcomes you home with its peaceful secluded vibe. 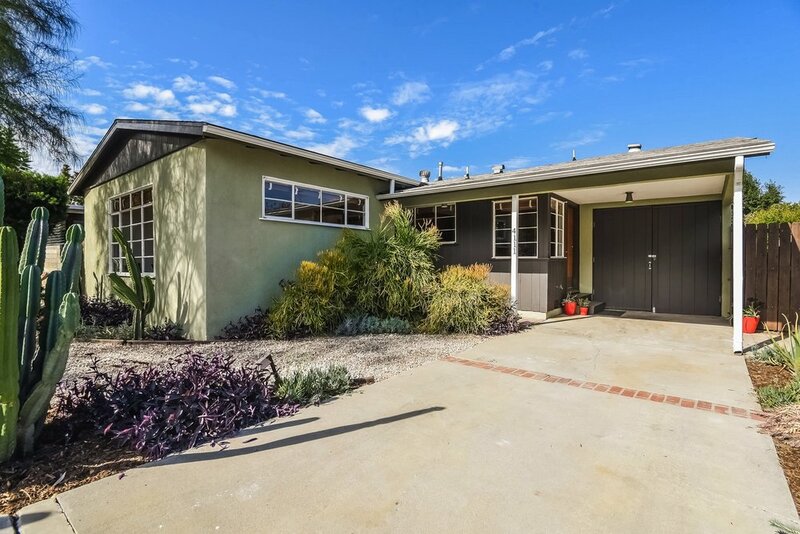 Beautifully updated Mid-Century Mount Washington home with master bedroom and two additional bedrooms, two remodeled bathrooms, open floor plan with amazing views in living room & dining area, that draw you out to a large wood deck and architecturally designed tiered backyard! Remodeled kitchen with island and Caesar stone counter tops, wine refrigerator, built-in drawer microwave and stainless steel appliances. 3rd bedroom has a built-in Murphy bed! There are wood floors, copper plumbing, central heat and air, updated electrical, recessed lighting, large 2-car garage with views and architecturally designed corten steel planter boxes in front for privacy. 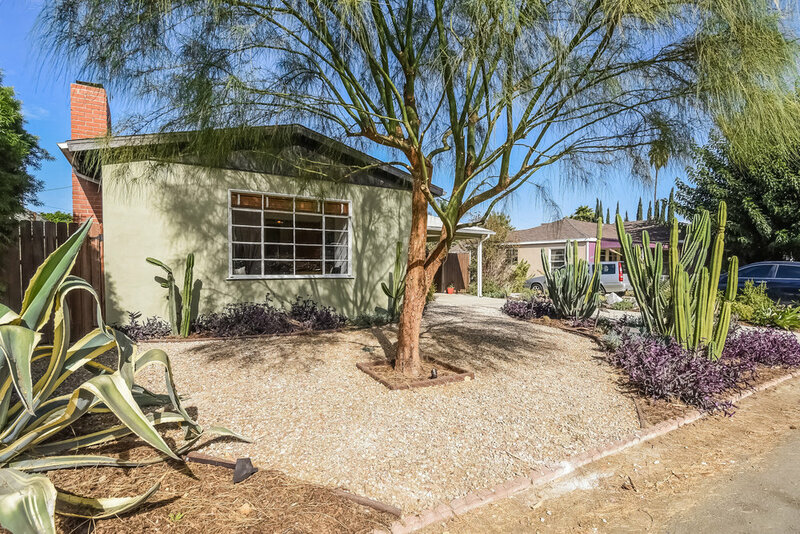 Beautiful hillside Mid-Century home on a large peaceful street-to-street lot, yet only a few minutes away from stores, restaurants and coffee shops. This 3Bdr/1Bath home is a great space for indoor/outdoor entertaining with its period fireplace in the master bedroom and wall of windows looking out to the patio and backyard. Enjoy your morning coffee at the counter in the updated kitchen as you look through the steel casement windows out onto the beautifully landscaped, drought-tolerant yard. Original hardware on all built-in cabinets and closets and newer cork floors are in keeping with the Mid-Century look. The home has been modernized with copper plumbing, updated electrical panel and central heat & air. 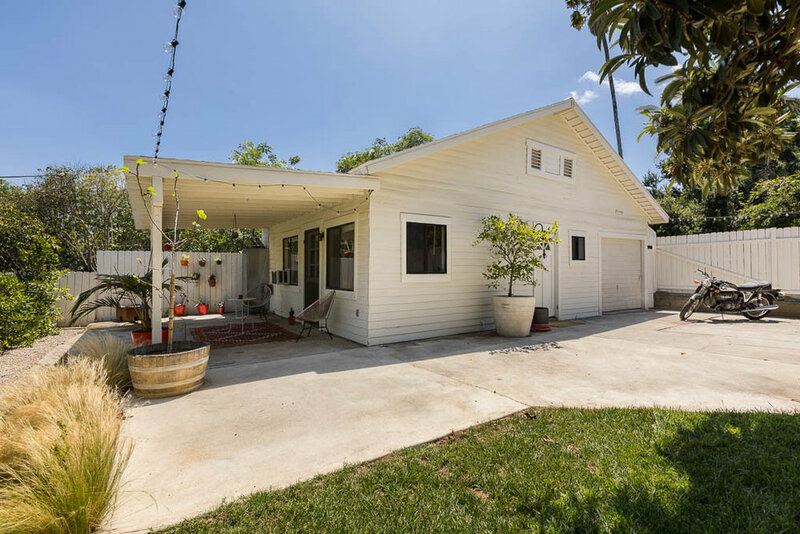 There is an attached studio with laundry and a detached 2-car garage/ workshop (that could be made into an accessory dwelling unit), additional parking in front driveway and backyard driveway. This is a great property in a highly sought after location! 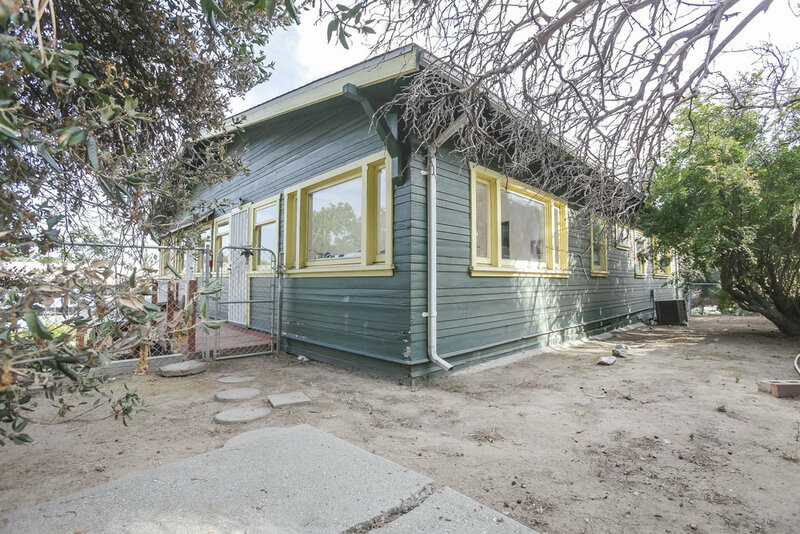 Charming light filled California Bungalow boasts two spacious units with lovely views. Each two bedroom, one bath unit, sits high up above the street behind a private gated entrance. 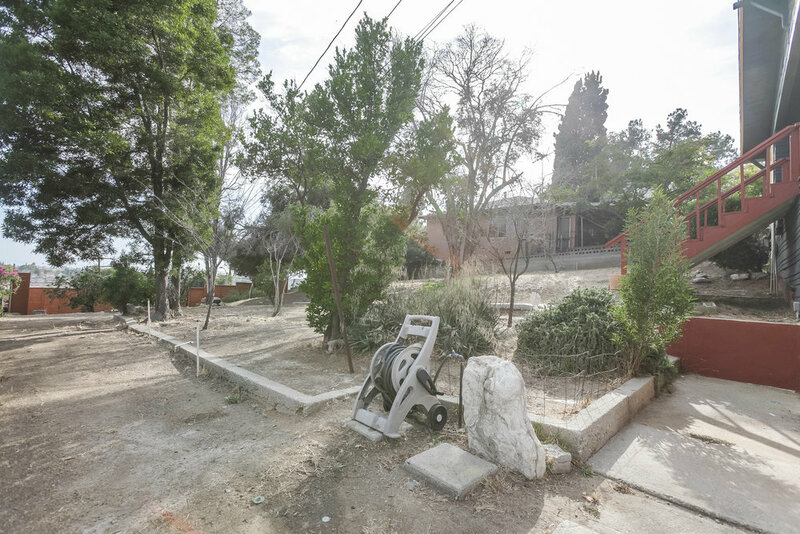 This amazing huge lot has a ton of potential for a large organic garden or pool. Each unit has high ceilings, living room and dining area, good size kitchen; two walk-in closets per unis, and wood floors. 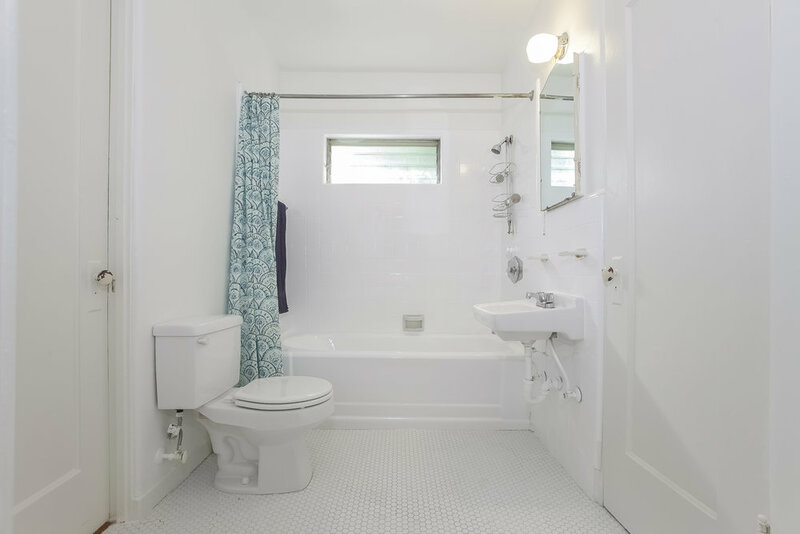 Both units have renovated bathrooms, updated electrical panel, copper plumbing and central heat and air! There is also a massive storage room under the house that would make an amazing studio and a laundry areain the back and unit 2119 has a decorative fireplace. This duplex is a treasure not to be missed and close to USC Keck School of Medicine and LAC+USC Medical Center. 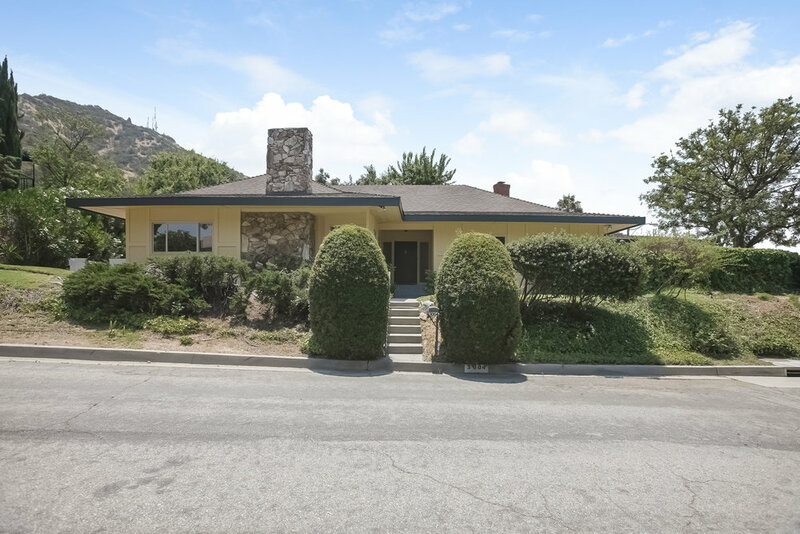 Gorgeous Mid-century Ranch Style 4 bed/3-bath house is nestled on a secluded peaceful cul-de-sac in the beautiful hills of Glendale and only minutes away from Chevy Chase country club & the Oak Grill. 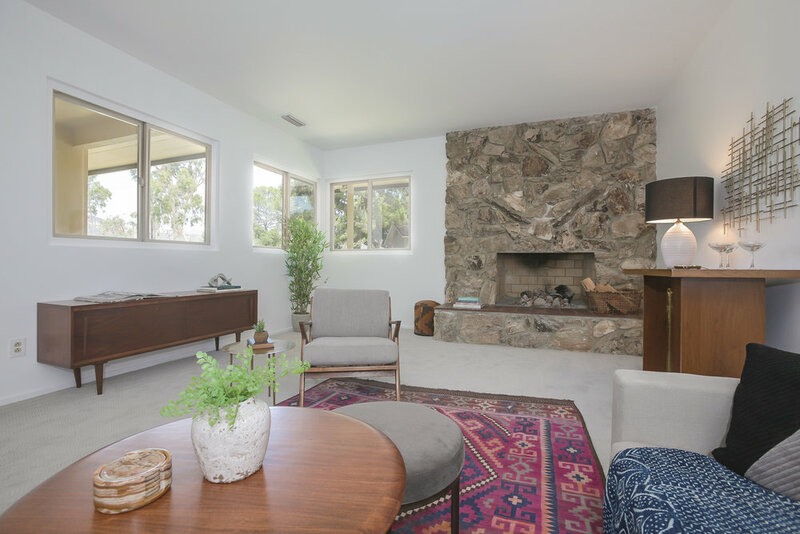 This 4-bedrooms/3-bath home was built in 1965 and features a step down living room with fireplace, a formal dining room, breakfast area and a great room off the kitchen. A private courtyard patio looks out on an amazing mountain view. There is also a private sitting area in the backyard. This home has not been on the market for over 45 years, but has copper plumbing, central heat & air, a two-car garage, updated windows, new ABS drain lines, new carpet and the inside was freshly painted in the last two months. The large master bedroom has a walk-in-closet and has a master bath with two sinks. 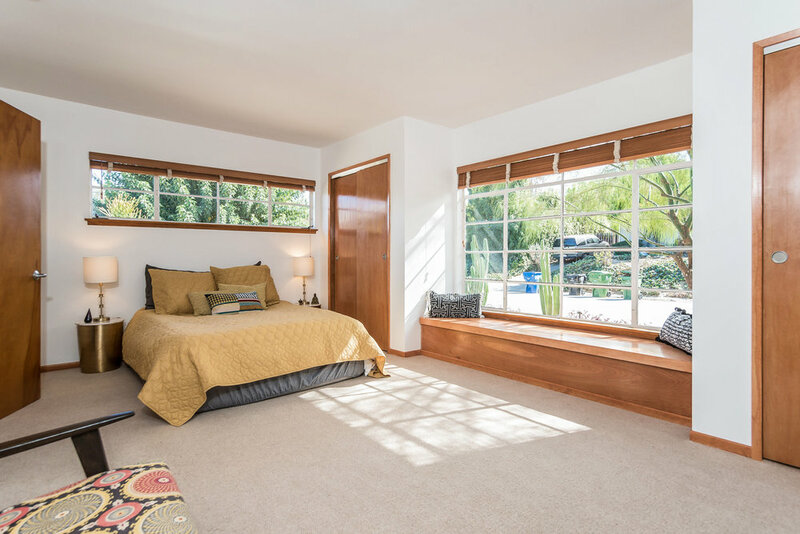 This wonderful home is located close to Descanso Gardens, La Cañada, Old Town Pasadena, and Downtown Glendale and is surrounded by the luscious beauty of the Verdugo Woodlands. Welcome to this secluded sanctuary set on 4 lots in Mount Washington! This two-story Santa Fe Style home is extremely private, has vaulted ceilings, an open floor plan with a small sleeping loft upstairs and a separate Casita. Follow the beautiful outdoor sculpture railings by local blacksmith artist Heather Mclarty down to the garden and to the casita that sits below the main house for your guest. This is not just a unique home, but also an enchanting retreat with shaded paths, mature trees, thriving foliage and a lush garden beckoning seekers of calm and privacy. 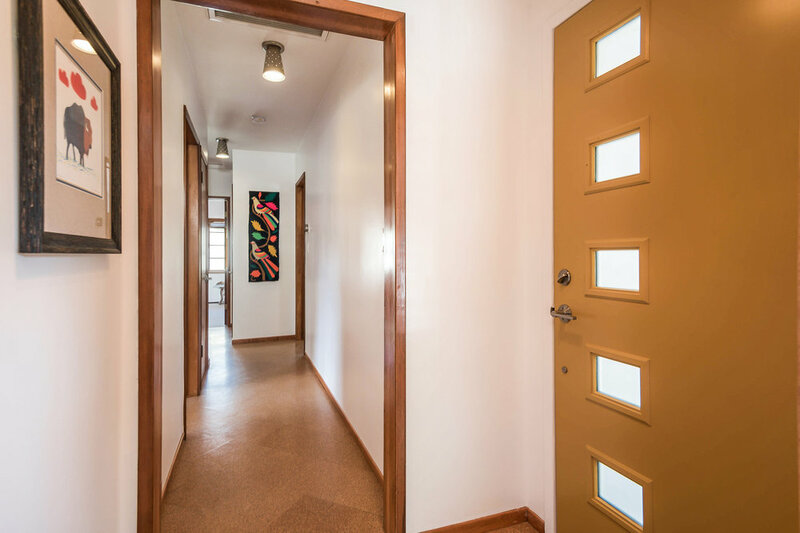 This artist home has been modernized with copper plumbing; tankless water heater, updated electrical, beautiful double pane windows, wood floors, tastefully remodeled, kitchen and bathrooms. 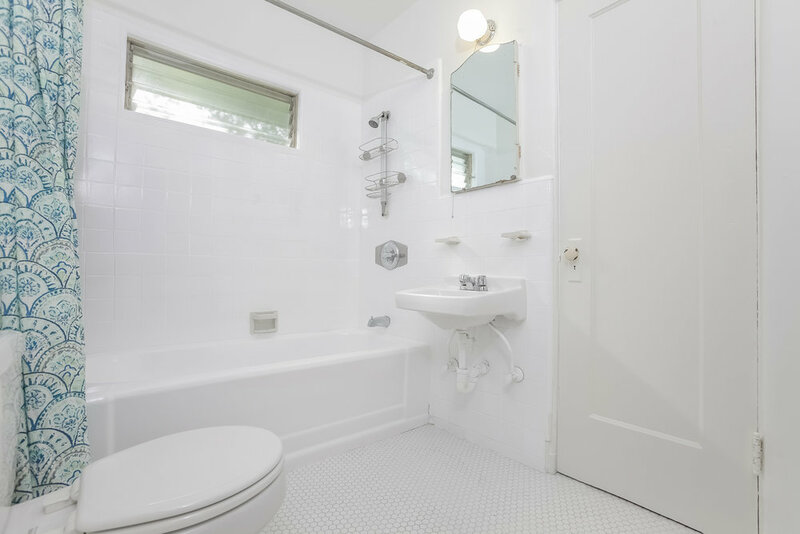 Master bath has a large soaking tub with a custom wall quilt of Batchelder tiles and a separate steam shower! There is a private gated driveway that leads into the property and to the carport. There are 3 additional lots. Come see this sophisticated one Bedroom, one Bath condo with unique direct access to unit through private patio side gate and a driveway for tandem parking (2 spots). The inviting living room has wood floors, crown molding, recessed lighting and features a built-in wine bar and entry closet. The living room opens to a dining area and a large private patio. Note the stylish factory looking window overlooking the patio. The large bedroom even has a walk-in-closet! There is a full bath with separate bath & shower, the kitchen has a sun-filled bay window and built in microwave. 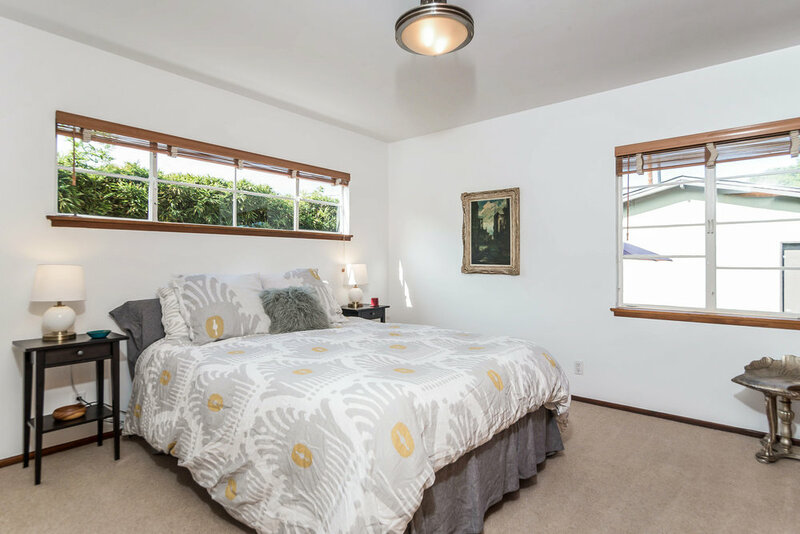 Unit shares only one common wall and is located on a peaceful street in the heart of Westwood. Close to numerous trending restaurants and shops, Westwood Village, UCLA, Rancho Park, the Los Angeles Country Club, and transportation. To top it off there is a community roof patio, and the HOA dues cover water, trash and gas. 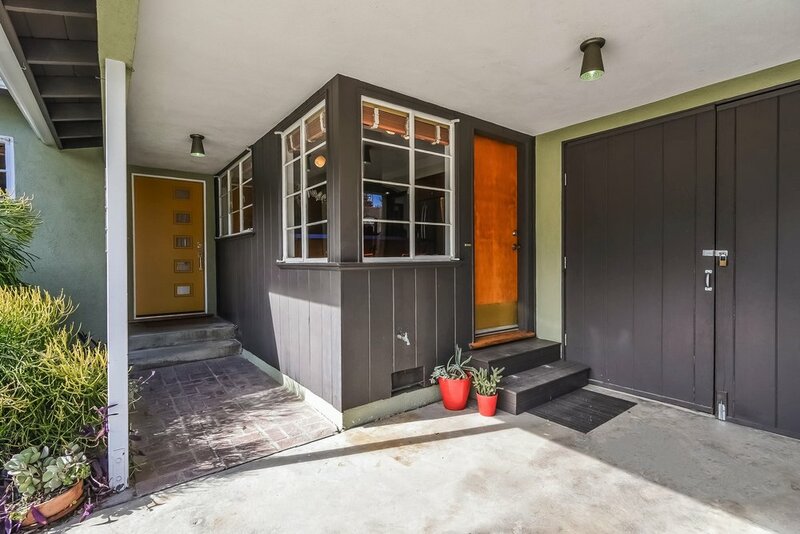 Charming updated two bedroom, two bath California Bungalow in the heart of Mount Washington with bonus studio space! Remodeled kitchen opens to deck and has stainless steel appliances, Quartz countertops, and cool concrete tiles. Remodeled bathrooms (one with tub and the master has walk-in shower with seamless glass door and natural stone pebble floor). Newly redone wood floors, recessed lighting. Amazing deck with terraced backyard, orange tree, beautiful pergola, large cascading water feature, automatic sprinklers, and built-in bar and BBQ. Updated electrical, copper plumbing, Central heat and air, professional landscaped front & back yard. Close to parks. Peaceful Street in Mount Washington School District. This home is designed for California indoor-outdoor living and entertaining! Open the doors to this beautiful large English country garden home minutes away from LACMA, wonderful restaurants, shops and the Metro. This lovely home features wood floors that span across this spacious 2-bedroom/2.5-bathroom house with guest studio with ¾ bath. Coved ceilings, crown molding and French windows and doors added for charm. The kitchen includes a wine fridge and breakfast nook. There is a laundry room with an attached half bath. The master bedroom suite offers ample closet space and a beautifully remodeled spacious bathroom with a freestanding tub and shower with marble tiles. The formal entry way leads to an expansive living room with gas fireplace and a formal dining room that leads to sunroom. The peaceful, grassy backyard has fruit trees and a paved patio great for outdoor entertaining. There is central heat and air, copper plumbing and updated electrical. Parking space for multiple cars. A charming 1920's Colonial style renovated duplex! Each light filled unit features three bedrooms and one bath, with laundry hooks-ups in kitchen, wood floors, large living room that opens to dining area and kitchen, updated windows, (upper unit is identical layout but has carpet in bedrooms) professionally landscaping in front and back yard with drought tolerant plants and automatic sprinklers. The electrical has been updated, newer roof, updated copper plumbing and the duplex was bolted. The duplex is Zoned LAR3 may be ideal for additional unit, and there is ample parking in the rear for several cars. Lower unit will be delivered vacant. Perfect owner/user. Great location near La Brea shopping, Miracle Mile, Grove; close to Ralph's Grocery, Lowe's, Starbucks; easy access to freeways and downtown not a heavily traveled Street (it is quite peaceful), large shared yard great for BBQs. Both units will be delivered vacant after May 1st 2016. 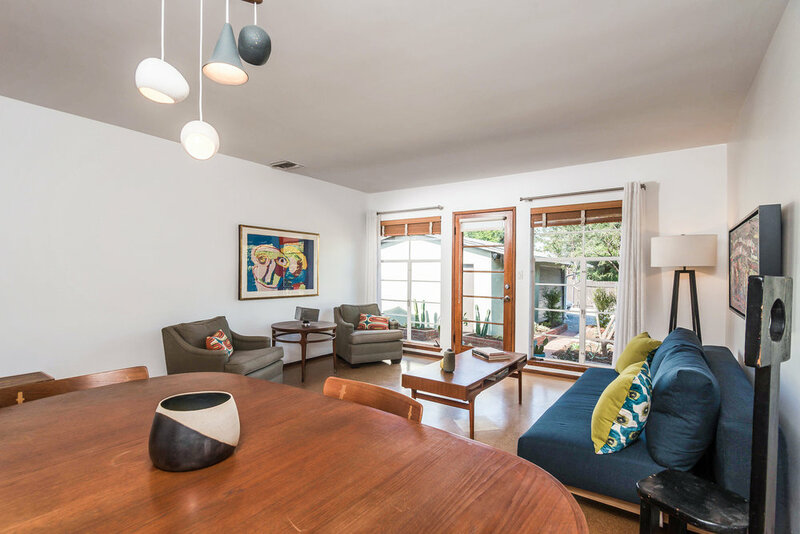 Cool mid-century modern house in Eagle Rock with stunning mountain views on a quiet cul-de- sac. This two-bedroom, two-bathroom home features a large living room with stone fireplace, recessed lighting and beautiful wood floors; a remodeled kitchen with quartz counter tops, large pantry and stainless steel appliances that opens to dining area; two large bedrooms with generous closets; and two remodeled bathrooms! This home has newer central air-conditioning and heating, newer windows and interior doors, updated electrical, copper plumbing, and newer roof (2014). On the outside, you'll find a two-car garage with laundry sink and laundry hook-ups, side and back concrete patios (great for entertaining), newly painted interior and beautifully landscaped, low-maintenance native gardens. This home is close to all the shops and restaurants but sits high above it all, for some peace and relaxation.